If you need to know how to write a business proposal, congratulations! You just found an amazing resource packed with business proposal examples and free templates to help you get started. It’s totally normal to feel overwhelmed (and a little bit anxious) about writing a business proposal. You want to get it in as soon as possible, but you have no idea what to put in there, how long it should be, or even where to start. Writing a business proposal doesn’t need to be daunting. In fact, if you soak up all of the information in this article, you’ll already be one step ahead of the competition. So relax, pour yourself a coffee, and let’s do this. 1 What is a business proposal? 1.1 Solicited and unsolicited proposals. 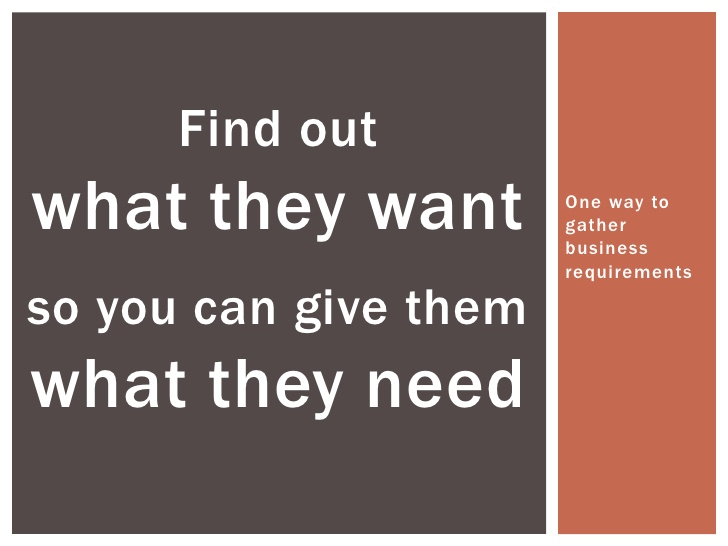 2 What does a business proposal include? 3 What’s the difference between a business proposal and a business plan? 4 How to write a business proposal in 6 steps. 4.1 Step 1 – Make sure you have all the information you need. 4.2 Step 2 – Sketch out the scope of the project. 4.3 Step 3 – Estimate the cost. 4.4 Step 4 – Start writing your business proposal. 4.5 Step 5 – edit and proofread. 4.6 Step 6 – send your proposal (and follow it up!). 6 Let’s wrap this up. A business proposal is a document that’s used to secure work. It can be sent by an individual or a business and is usually (but not always) a response to a specific job, project, or service that’s required. Business proposals are also sometimes used by suppliers to secure business. 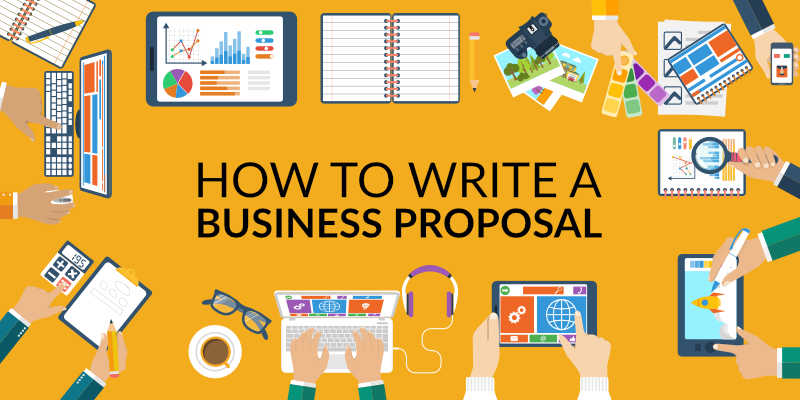 Think of a business proposal as a bit like a sales pitch, or a job interview on paper. You need to explain why you’re the best person (or company) for the job and really sell yourself or your business. A good proposal will outline the service you’re offering and briefly explain how you will approach the task. It will also include a quote and/or an estimate to complete the work. A business proposal can be solicited or unsolicited. If a business proposal is solicited, it means that the individual or business writing the proposal has been asked to submit a proposal by the client. 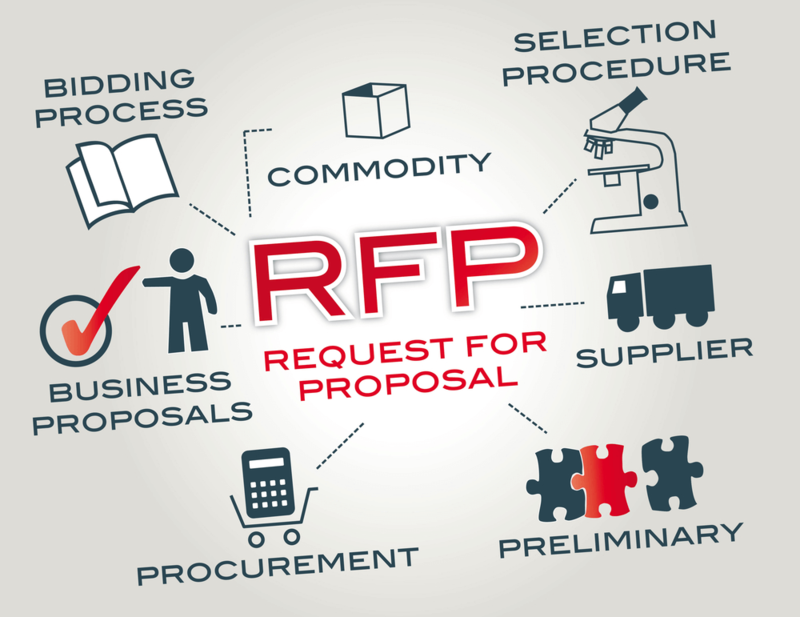 RFP’s (request for proposal) is the standard way that businesses ask for submissions. Any business or individual can send out an RFP, and there are lots of templates available online to help you do this. To give you an example, let’s say that a company (not yours!) was being sued. That company might then send request for proposals out to various law firms. The RFP would most likely contain an explanation of the situation and ask for help and legal advice. Solicited proposals are generally easier to write because you are given clear guidelines. With a solicited proposal, you know exactly what the client or customer wants and can tailor your response accordingly. Make sure you read the RFP thoroughly. 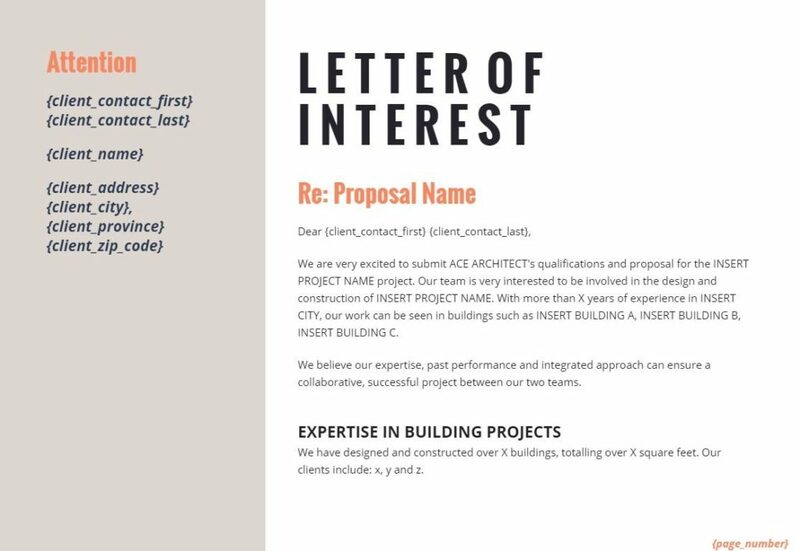 Not only will this help you to deliver a comprehensive and relevant proposal, but the RFP will often contain useful information about the criteria being used to make the final decision. If you’re asked to submit a proposal, you may also be given instructions for formatting, so be sure to check those too before you submit. If you’re trying to attract clients by sending out business proposals without first being asked, then your proposal is unsolicited. Like cold-calling,unsolicited proposals are commonly used to try to generate leads. Unsolicited proposals can be a little more difficult to write because you don’t have any information to go on. Unsolicited proposals also need to be far more persuasive, which means it’s up to you to do your research on whoever you’re targeting and demonstrate to them how you can add value to their business. Unsolicited business proposals should serve as an introduction to your product or service and aim to convince your potential client that they should be using your service. 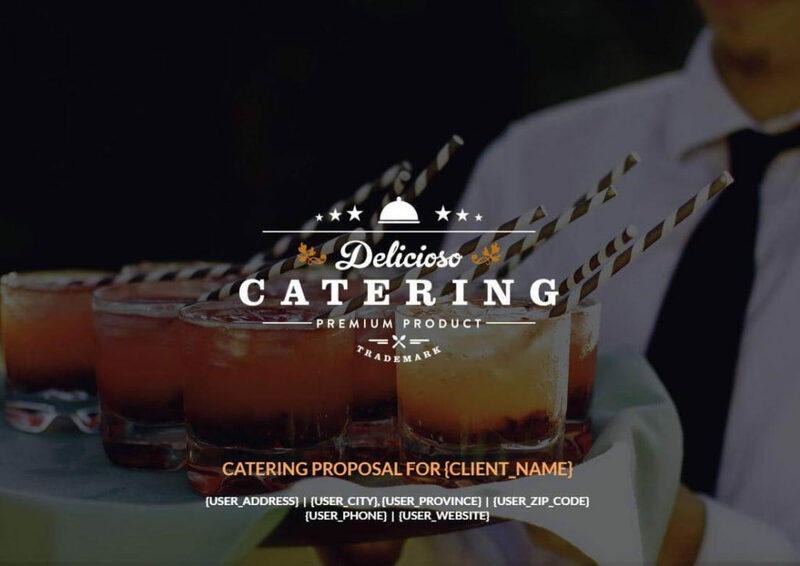 An unsolicited business proposal differs from other advertising materials in that it carefully considers the customer’s needs and concerns and addresses them specifically. Obviously, a solicited proposal is far more likely to win new business as the company already has you on their radar. Unsolicited proposals do have their benefits though, the most obvious one being that there is no competition. Sending out unsolicited proposals, providing they’re well researched and offer creative solutions to your client’s problems, can be an extremely effective marketing tactic. Some companies, particularly government agencies, actively encourage the submission of unsolicited business proposals. If this is the case, they will likely have a review schedule and/or submission guidelines. So it might be worth checking those out and timing your proposal submissions accordingly. What does a business proposal include? So what the heck should you put in there? Table of contents (optional but useful for longer proposals). Proposed solution / Outline of approach. Case studies and/or testimonials (optional but recommended). CTA / how to proceed. People often get confused between these two documents, but they’re actually very different. Proposals and plans differ greatly in both their purpose and their audience. A business plan is all about you. It’s a document that provides details about your company’s strategy and demonstrates how you intend to grow. The intended reader of a business plan could be an investor or a bank manager for example. The idea of a business plan is to outline your goals, show that you know what you’re doing and that you’re worthy of investment. Therefore, in a business plan, you might discuss how you Intend to scale and how you will make and increase profits. A business proposal is all about them. A business proposal is a document designed to sell your services to someone else. While you can certainly use some of the information in your business plan to help you write your business proposal, the focus for your proposal should not be on you, but on whoever it is you’re trying to bag as a client. A business proposal should therefore focus on how you intend to meet the clients needs and how you can help them out or provide value to their business. Another way to look at it, is that a business proposal is selling your services to clients and a business plan is selling your business to investors. How to write a business proposal in 6 steps. Step 1 – Make sure you have all the information you need. The first thing you need to do is gather all of the information you need. Actually, scratch that. 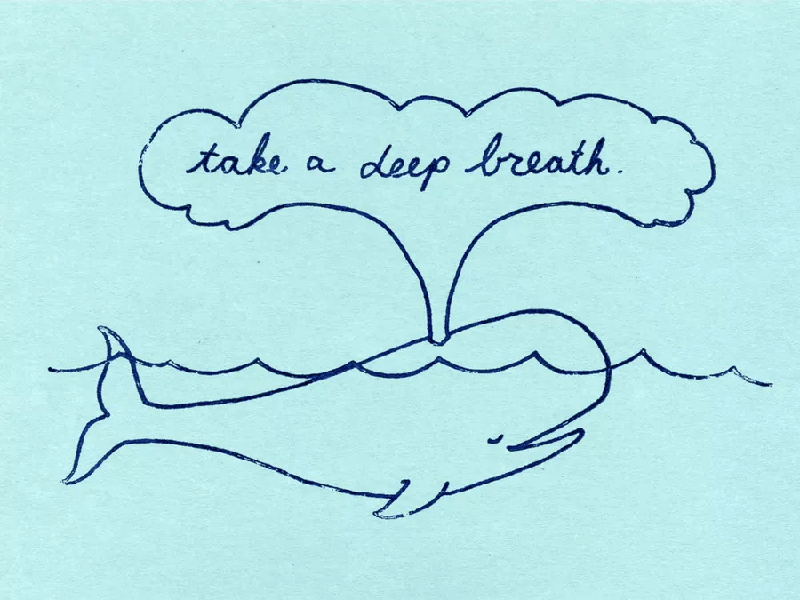 The very first thing you need to do is take a deep breath and relax. Now that your nice and calm, let’s dive in. First things first. You’re going to be tempted to fly through the process for fear of missing out on the job. Don’t give in to the urge to panic and rush the proposal! While you certainly do want to submit your proposal as soon as possible, it’s far more important to do a good job on it. You don’t want to spend your precious time putting together a proposal only to realise that you’ve forgotten a crucial detail. So be methodical and take your time. Have I spoken to the client? – Talking to the client helps you to build up a repore and get a really good grip on what they’re after. Do I fully understand the requirements? – Your client is a mine of information. Make sure you’ve gone through everything with them and thoroughly check any documentation you’ve been given. If you have a request for proposal, make sure you go over it carefully so that you understand exactly what your client wants. Can I deliver what they’re asking for? You need to make sure that you fully understand the problem / pain points and that you have a compelling solution to offer. Is this the first attempt to solve this issue? – You don’t want to suggest something that’s already been tried.Looking at prior attempts and why they failed can provide a useful framework that could help you provide a better solution. Do I have any questions? – What further information do you need to submit an accurate and competitive proposal? Do I need to do some research? – Thorough research makes a great impression. Don’t be afraid to approach your potential clients staff, as well as researching your competitors to see if you can offer something that will make your proposal stand out. Who will be reading the proposal? – Is it just one person, or will it be passed through a team?Knowing who you’re talking to will help you tailor your proposal to your audience and increase your chances. Who is the final decision maker? Knowing who makes the final decision (and what boxes they need to check) can give you a great advantage. What are the budget and timeline expectations? 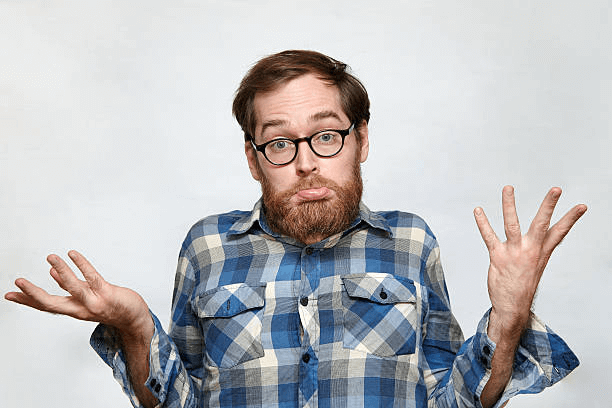 – When does the client expect you to start and finish the project? How much are they willing to spend? If you can’t meet the clients budget or deadline then don’t submit a proposal. Top tip: Customer Relationship Management. 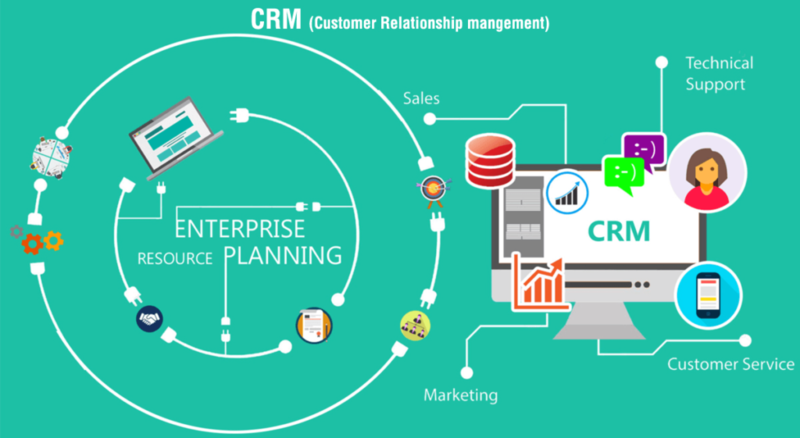 If you’re sending out multiple proposals, you could probably benefit from using CRM (customer relationship management) software. Basically what this does is allows you to keep track of all of your contacts, appointments and leads. It’s a useful tool for creating a comprehensive system to organisise your proposals and your contact with clients. Hubspot CRM – One of the top CRM services on the market, and it won’t ever cost you a penny! This free platform offers powerful tools that work for any industry or niche. It’s simple, quick, and easy to get started. Check out all the awesome features and benefits. Salesforce CRM. This software app lets you track all of your interactions under one umbrella. It is fully comprehensive, offers extensive sales and marketing solutions and is suitable for everyone from beginner to behemoth. Prices range from $25 to $300 per month. Freshsales. Freshsales is a global company with a fantastic reputation. Their CRM does a great job of combining organisation with analytics. The interface is simple to navigate, and the software allows you to easily keep track of, score, distribute and nurture thousands of sales leads. They do have a free forever option (Sprout), otherwise prices range from $12 to $79 a month. Pipedrive. This fully mobile optimised system is praised for its co-operative capacity. It syncs well with Google Calendar, Google contracts and other Google apps. Pipedrive is a popular choice because it can also accommodate most third-party business apps. No freebies here I’m afraid (just a free trail). Prices range from $15 to $59 per month. bpm’online. Last but not least, this software is designed to help you streamline and boost productivity. The aim is to bridge the gap between marketing, sales and customer service. They offer 7 different packages ranging from $25 to $50 a month. Step 2 – Sketch out the scope of the project. Once you have gathered all of the relevant information, you should have everything you need to outline the scope of the project. To complete your scope outline, you need to develop a thorough understanding of what the work is going to involve. You should note down the various tasks to be completed along with any resources you’ll need. At this point you should also assess how long the project is likely to take and begin taking costs into account. Try not to get too bogged down with details at first. It’s better to treat it as a rough draft and then once you have your outline, you can flesh it out by filling in all of the details later. 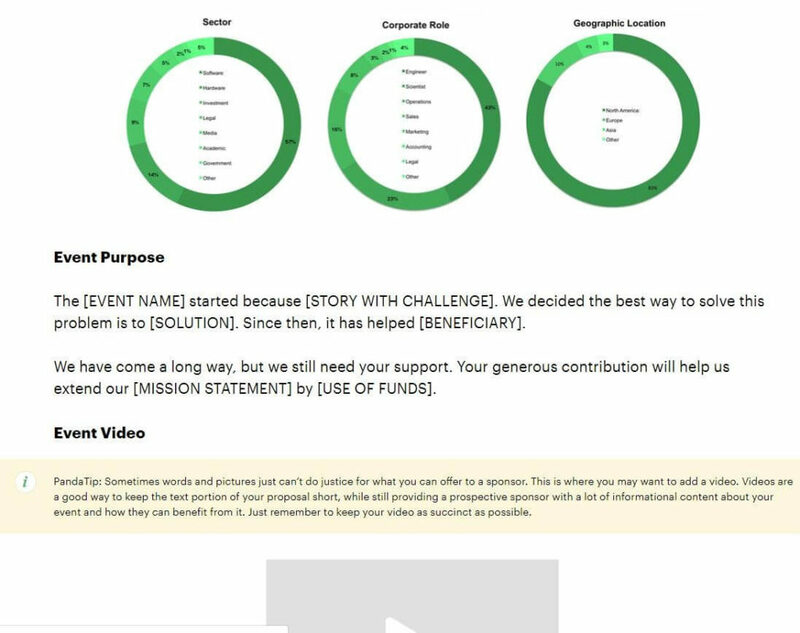 This is where a project plan template can help you outline your project in a structured way. Who will carry out the work? Who will ensure the quality of the work? Who will be the client’s point of contact? What materials will you need? What other resources will be required? What resources do they already have? What does the customer expect? How will you approach the task? How will you divide the work? How will you ensure the client is happy? How can you sell your solution? Where will you get your materials? 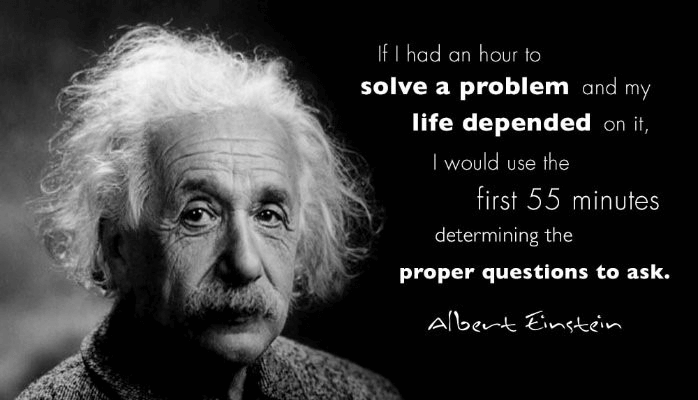 Why have you chosen your particular solution? When will you meet your milestones? When will you expect payment? Step 3 – Estimate the cost. Ok, so you’ve gathered all the information and you have successfully measured the scope of the project. Well done you! Now it’s time to start pricing up the job. The best way to do this is to first figure out how much it’s going to cost you to do all of the work. 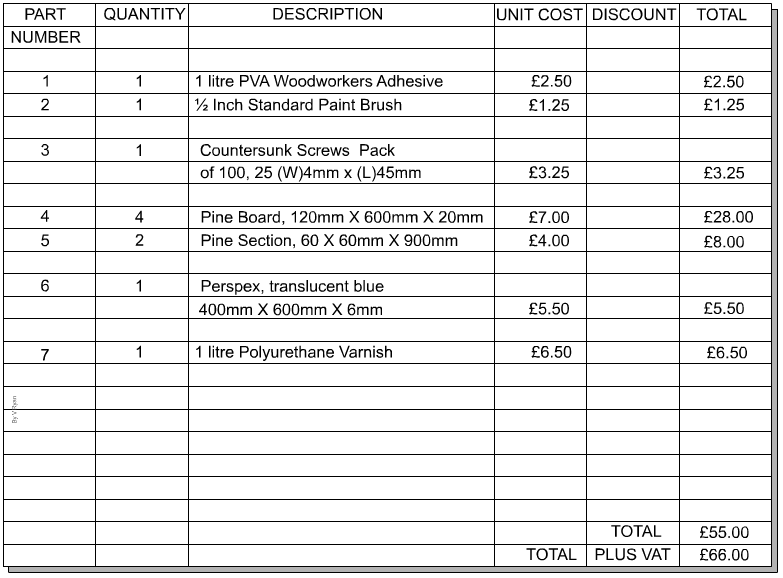 Make sure you include labour and material / equipment costs as well as things like transport. Try to be as accurate as possible and don’t forget to factor in any discounts for bulk buying etc. You should already have a good idea of how long the job is going to take you, so factor in your labour costs accordingly. A good rule of thumb is to multiply your estimated labour time by 1.5. This way you allow for any unexpected twists and turns in the project. You can always make your client really happy by knocking these extra hours off the bill at the end of the project if they weren’t needed! If the amount of time spent on a job Is likely to vary (a construction worker may not know the full extent of a job until work has begun for example) then make sure that you include a caveat in your proposal that covers you for this. Once you have all of your costing done it’s time to decide on your profit margin. This will vary depending on the type of business you are in. So it’s probably best to do some research and check the industry standard. 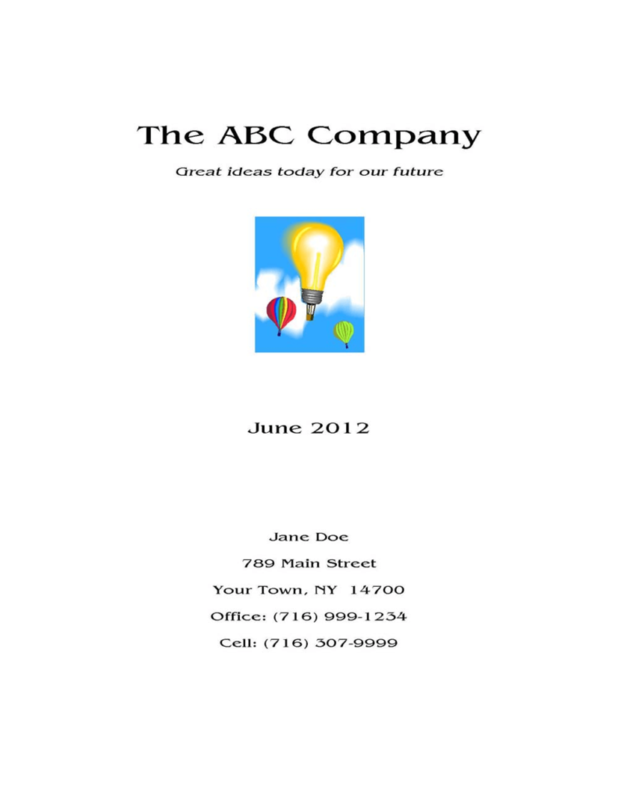 Step 4 – Start writing your business proposal. You’ve done all the research, you’re prepared. Now it’s time to start writing. Gulp. This is when the doubts and anxieties often start to creep in. Don’t let them. Banish any nervous or anxious thoughts from your mind and tell yourself you got this, because you do! We’re going to break it down into sections and take it step by step, starting with the cover. An attractive proposal makes your proposal more attractive. Design matters. Given the option, 66% of people prefer to read something that’s well designed instead of plain. It’s going to put people off. You might think that design isn’t that important for a business proposal. All that really matters is the cost, right?. We live in a highly visual world where design influences our decisions all the time. For example, did you know that most people (96% to be exact) equate design with how trustworthy a businesses is? Like it or not, looks matter and you will be judged on them. A great design speaks volumes about your business and if done correctly, it can make a fantastic impression. Design isn’t just about the visuals. It also extends to the layout of your document. Consider the alignment, spacing and the text sizes you’re using. The goal is to clearly present your ideas and make it easy to read. As a general rule, you want to break up your text as much as possible. So use plenty of headings, bullet point or numbered lists and images or graphs where appropriate. Short paragraphs and sentences work better because they are easier to scan. You don’t need to do anything fancy. 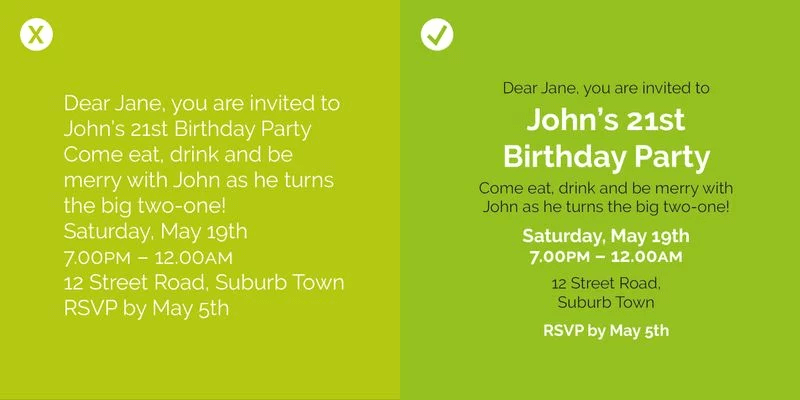 In fact, simple designs usually work better for business proposals. Just make your proposal look neat and put together. Having said that, if you have a designer on your team or an eye for design yourself, then it’s well worth putting in the effort to create an enticing cover design. There are lots of companies that help you do this, such as Canva, Adobe spark, and Poster my Wall to name but a few. Not creative? Not to worry. For those of you without creative bones, there are hundreds of free templates available for you to make your own. You can see that there is space (on the bottom right) for some information to be put on there. So what information should you include on your title / cover page? A snappy title – putting “a proposal submitted to ABC for the purpose of XYZ” is a wasted opportunity. Remember that the goal here is to sell yourself, so think like a marketer and create some compelling copy. The name of the person you’re submitting the proposal to. A word to the wise. If you’re using your own (or your client’s) logo on your front cover, then make sure it’s a high resolution image. There’s nothing worse than a grainy, insipid, poor quality image on the front of a proposal! Whether you include your introduction in the main body of your report or send it separately as a covering letter is up to you. Introduce yourself and your company in a couple of sentences. You may want to explain your background briefly. Highlight your strengths and make it clear why you stand out. The tone should be friendly. It helps if you can keep your clients needs in mind while you’re writing and present your strengths in a way that makes it clear how they can benefit from working with you. Most people believe that this is where you present the project in a nutshell. Which is sort of right, but not quite. You see, it’s more about selling than summarising. While you do want to summarise your proposal, the main goal of this section is not to provide a basic overview of the whole project, but rather to highlight why your solution is the right one. A good executive summary needs to be persuasive and benefit focussed. This is your opportunity to sell your solution to the client’s problem! Focus on persuasion over description, use clear and straightforward language to make your points, and try to keep it short, less than 1 page is a good length. This might be the first page your prospect ever reads, so make it count! Remember, you’ll have plenty of time to go into more detail later. Start with something that grabs their attention and makes them want to keep reading. Next, show that you understand the problem fully. Once you’ve done that, then you can show off your fabulous solution. Don’t forget to stress the benefits! Figuring out how much detail to include here is tricky. You want to put some detail in there to back up what you’re saying, but not so much that it becomes a dull read. It’s a balancing act and you’ll need to use your own judgement. It’s a good idea to pop in a bit of social proof, and then round things off with a call to action. Depending on how long your proposal is, you may want to include a table of contents. A table (showing the page number where each section can be found) will help the reader navigate your proposal more easily. If your proposal includes industry-specific terms, you may also want to include a table that explains these. This section will make up the majority of your proposal. There’s a lot of information that needs to be included, so let’s break it down into smaller sub-sections that are easier to manage. Here’s where you delve into detail about your client’s problem and your solution to it. You need to go through your entire process, detailing exactly how you intend to approach the problem and what results the client can expect. You will need to demonstrate that you are aware of any potential challenges and ensure that your solution is customised to your potential client as much as possible. It can be tempting, when you’re sending out lots of proposals, to just use the same one across the board. But changing a few details, making the proposal feel more tailored, adds a personal touch that goes a long way to improving your results. How to Write a Business Proposal in 2019. 6 Steps + 15 Free Templates. What exactly do you intend to deliver? It’s important to have an itemised list of everything that’s included in the price and a detailed description for each item on your list. It’s a good idea to break down the project into several phases. This gives the client a good idea of how the project is likely to progress. 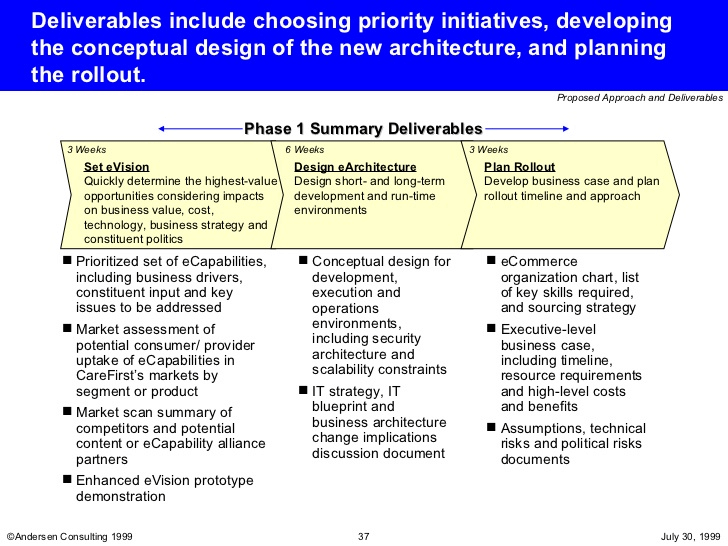 Outline the key events and deliverables involved with each stage. Give a realistic time frame for each part of the project, and say who is responsible for each deliverable. If you want to win clients and maintain good profit margins, you’ll need to price your jobs up accurately. It’s a good idea to have an itemized table that clearly shows all of your costs. The more specific and clear you can be about your pricing the better. A table like this is also a useful tool for negotiations later down the line. This is where you really sell your company. Top tip – think like a storyteller and make it interesting. 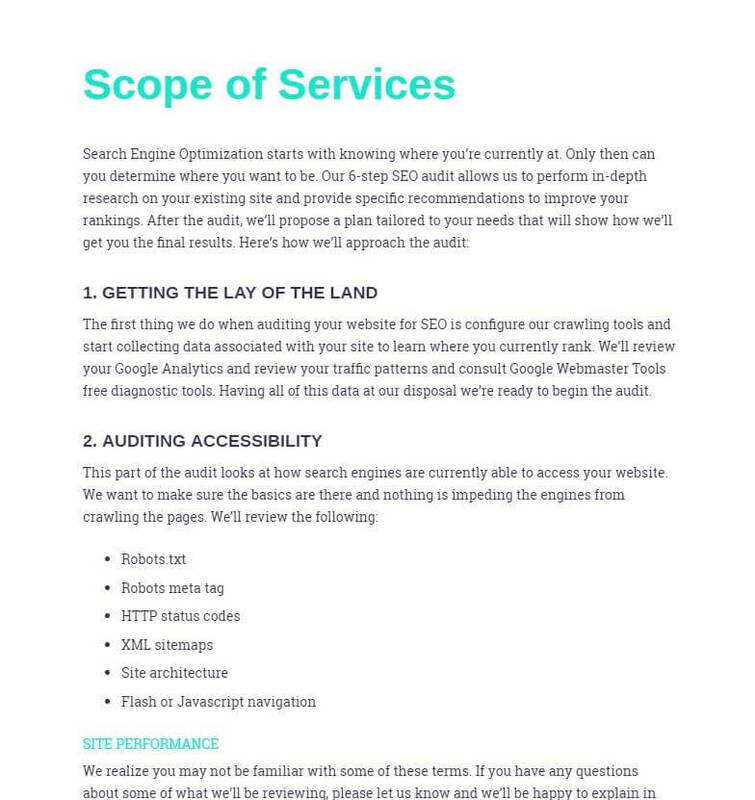 If you have an about page on your website, you might want to use this as a resource. And if you don’t, it’s well worth checking out some of the best about us pages on the internet for inspiration. (include bios and photos to sell your team’s expertise) and your journey. Highlight your expertise and your USP. If you have awards, social proof, testimonials or case studies feel free to put those in as well. This section is all about familiarising the client with your business. You want your reader to feel like they know you and your company well. (make sure you ok it with them first) shows that you’re confident and can help to build trust. If you have a bunch of particularly impressive clients, you may want to include a slightly longer client list. Terms & conditions / moving forward. The final section for your main body should first include your terms and conditions and then provide information / steps and a call to action for moving forward. Your call to action might be an invitation to visit your website for example. This section serves as a conclusion to the main body. Basically, you want to briefly reiterate how you can help, and go over what you and the client are both promising by agreeing to the proposal. 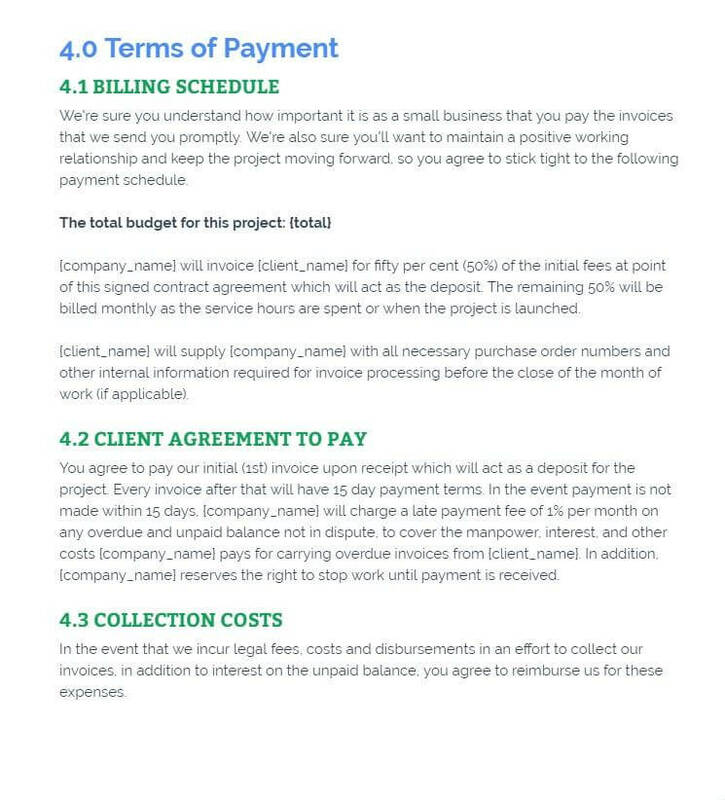 Specify the duration of the agreement, the timescale for completion, and payment types and dates. Proposify’s AdWords and PPC proposal template. You’ll also want to include any caveats or disclaimers in this section. Your disclaimers should make your potential client aware that the pricing is for the work stated in the proposal and that you reserve the right to charge more should any unforeseen circumstances arise. Step 5 – edit and proofread. Once you’re done writing the proposal, you’ll want to go over it and check for any mistakes. If possible, it’s best to get a fresh pair of eyes on it (or 2). It’s also a good idea to run it through Grammarly or a similar program – just don’t rely on it completely as it will only pick up on basic spelling and grammar mistakes and not misused or unintended words (the word you when you meant your wouldn’t be picked up by Grammarly for example). A good test to check if your offer is well explained is to give the proposal to someone who doesn’t work in your industry and ask them if it’s clear what you’re offering. 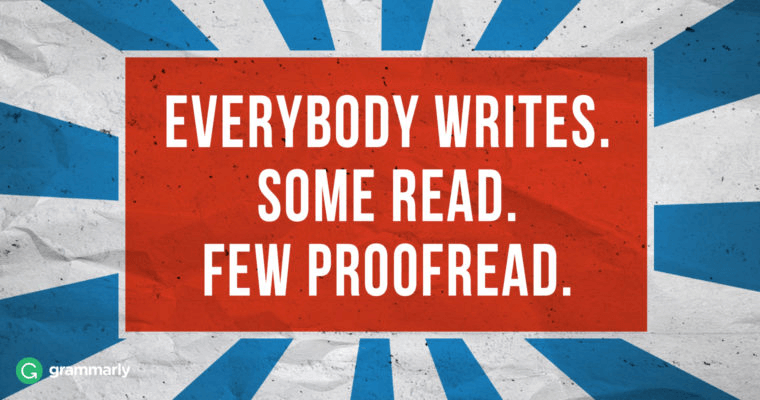 If you want to be certain that your proposal is mistake free, consider hiring a freelance proofreader / editor (with experience of dealing with business proposals) to check through it for you and provide some feedback. How long is a piece of string? Unfortunately, there’s no ideal length for a business proposal. Some companies give out guidelines, but the length can still vary greatly depending on the industry and also on the depth and scope of the project. Unsolicited proposals will generally be shorter than solicited – potential clients that have asked for a proposal are much more likely to sit down and read a longer document. As a general rule, you want to keep it as short and succinct as possible, while still providing all of the necessary information and detail. Your language should be clear and concise. It’s a good idea to use plain English and refrain from industry jargon and technical terms. If you must use technical terms, then break them down to ensure that your reader understands them. The easier your proposal is to understand, the easier it will be for the buyer to say yes! How to keep your business proposal short and punchy. A good tip to keep the length under control is to use economical sentences. That means that your sentences should not contain any unnecessary words. For the purposes of adhering to the current regulations, I intend to take each and every precaution necessary in order to adequately fulfill the health and safety requirements. Every precaution will be taken in line with health and safety regulations. It’s important to plan ahead in order to avoid unexpected surprises and unintentional mistakes. Ahead isn’t needed because planning always involves thinking ahead. All surprises are unexpected, so that word doesn’t need to be there either. It’s rare that someone makes a mistake on purpose so the word unintentional really doesn’t belong. It’s important to plan in order to avoid surprises and mistakes. Why use “for the purpose of” when “for” will do? Why use “in the event of” when “if” is all you really need? Check your proposal for unnecessary words and get rid of all the junk words from your sentences. Your proposal will be much more appealing and far better understood. Also, avoid unnecessary repetition of words and phrases. Another trick to make your proposal a little shorter, is to take out any tables and graphs and put them into an appendix at the end. Be sure to reference them in the main body of your text so that they are easy to find. If you’re using examples to make a point, try to limit them to one or two. It’s easy to get carried away when you’re passionate about the results that you can deliver. So make your point (well) and move on. Use appropriate language and tone. Have you noticed how many companies are dropping the formalities these days? Contrary to popular belief, you don’t need to adopt a stuffy and formal tone in your business proposal! You want to be professional, of course. But there’s nothing wrong with adding a bit of personality. A friendly conversational style can make you more relatable and work wonders when it comes to winning bids. Obviously, your choice of tone is going to be greatly influenced by the business you’re in. Have a look at your company’s website. Have a read of their promotional materials. What sort of tone do they adopt? Think about your target audience, and try to mimic the type of language they use. If you can, try to customise your tone for your reader, while also staying true to your brand. 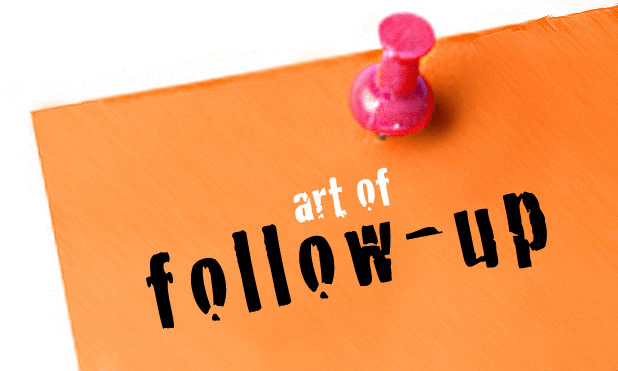 Step 6 – send your proposal (and follow it up!). How to submit your proposal. Most of the time you’ll probably be sending your proposals as an email attachment. However, some businesses have a preferred submission process, so you should check whether that’s the case before you hit send. If you have an RFP make sure you check it for instructions on how to submit. It’s important to follow the directions exactly so that you don’t start off on the wrong foot. You may be asked to log into a company’s portal or submit an application form that accompanies the proposal. Some companies may also ask for hard copies. Some companies may even use submission guidelines as a test of your diligence. For example, let’s say that the company you’re submitting to asks for the proposal to be formatted with double line spacing. Any companies that miss this simple instruction will stand out a mile (and appear lax) and their proposal will be likely overlooked. Even a perfect proposal can lose the contract if its submitted incorrectly. People do business with people, not documents. That’s why it’s important to follow up with your client in order to to keep the relationship going. Ideally, your proposal will have impressed your client so much that they will contact you back immediately. Unfortunately, this is rare. They will likely have several proposals to look through and this could take some time. So even though it’s hard, try not to jump down their throats too soon after you submit. Once you’ve given them some time, drop them an email or give them a quick call. Make sure they know that you’re available to answer any questions they may have about your proposal. If you have submitted digitally and you have document analytics or email tracking software in place, then you’ll know when your proposal has been seen and you can time your follow up accordingly. 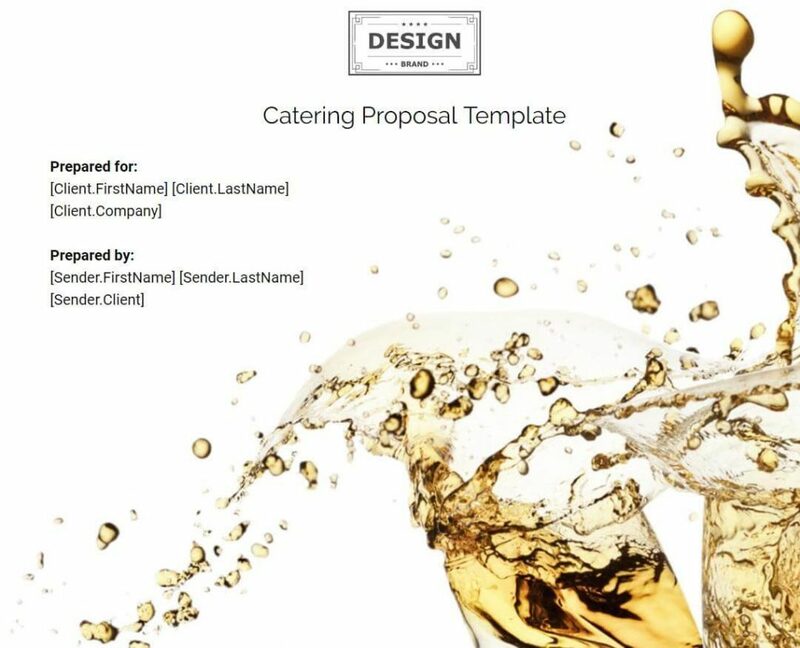 There are lots of companies that offer free proposal templates. Some of them are terrible. So, I’ve weeded those out and compiled a shortlist list of the 3 very best options. This is by far my favourite resource for free business templates. They currently have more than 70 free proposals to choose from, ranging from accounting advertising and architecture, to web design and wordpress development. 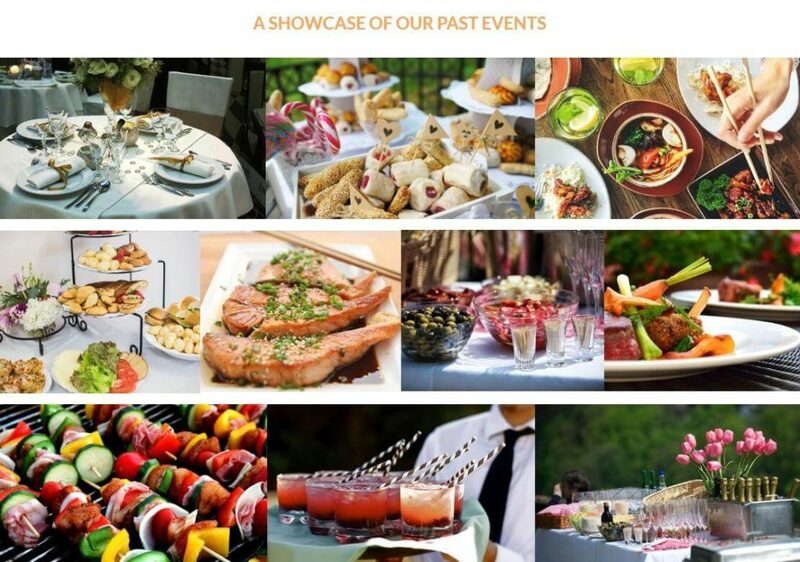 Their business proposals are well written, well designed and completely customisable. They also seem to be adding new ones daily. 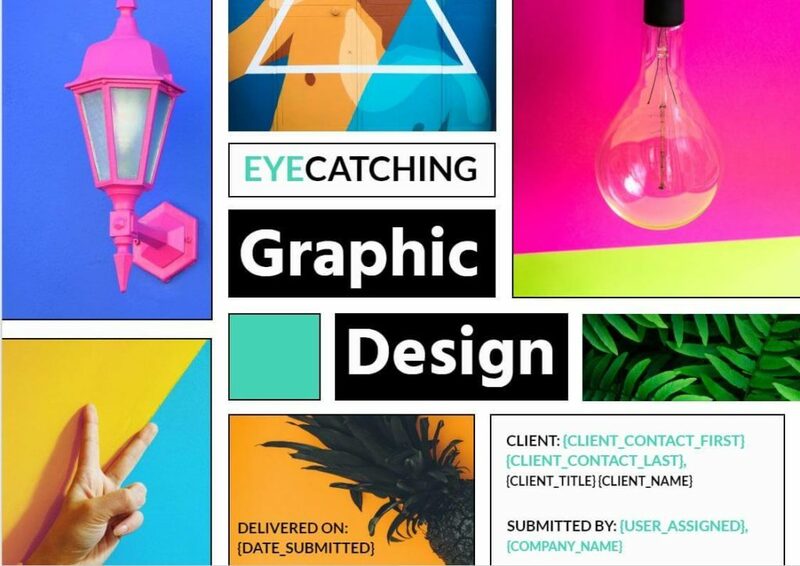 This one is 11 pages long and has some great eye-catching design which is perfect for those in the advertising industry where it’s all about grabbing people’s attention. This is a great example of how well thought out the designs are on the Proposify options. Not only is this proposal well designed, but it also suits the industry that it’s aiming for. Sadly, not many companies put this much thought into the look and design of their proposals. But, as we’ve already learnt in the cover page section, design is a crucial element of your business proposal. So this one gets two thumbs up! This is a page from inside the investment proposal template. I like how the colour scheme reflects the serious nature of the finance industry but also adds a little fun design element. 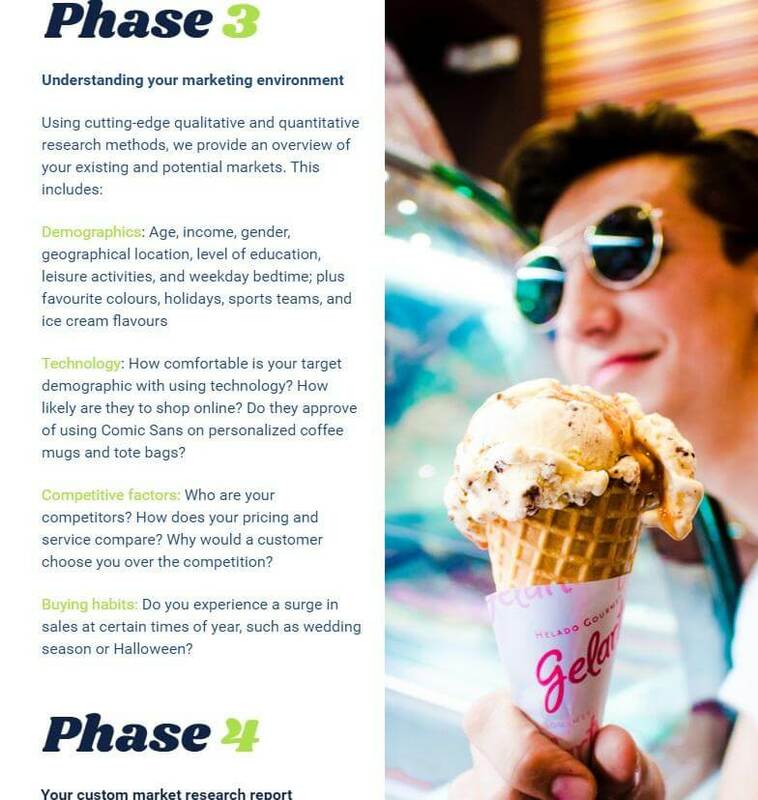 This 10 page offering for those in the marketing game is funky, fun and full of energy. There’s plenty of space to explain the phases of your project and your overall methodology. 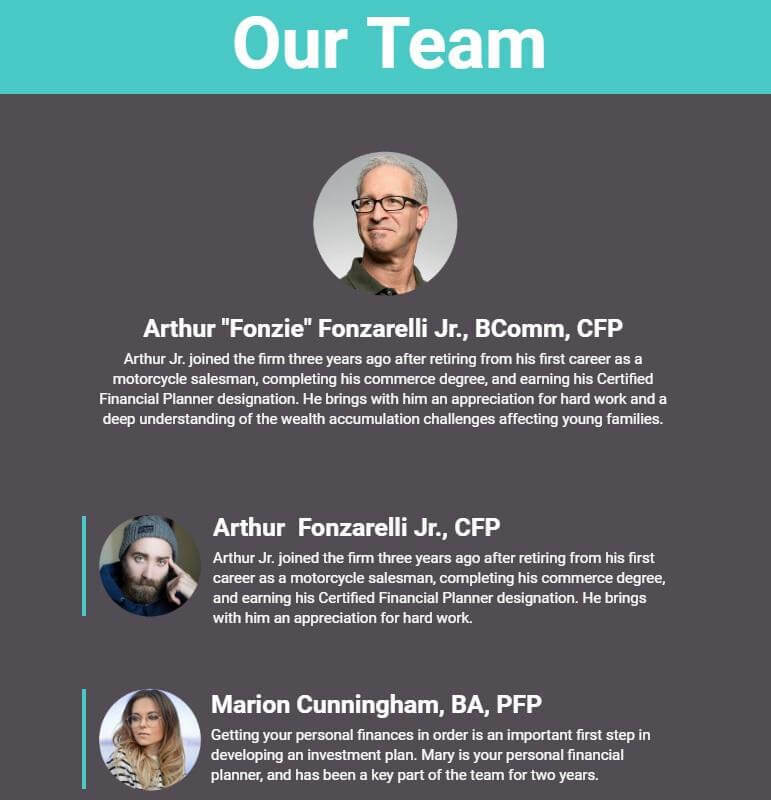 there’s also pages for introducing your team and including testimonials. 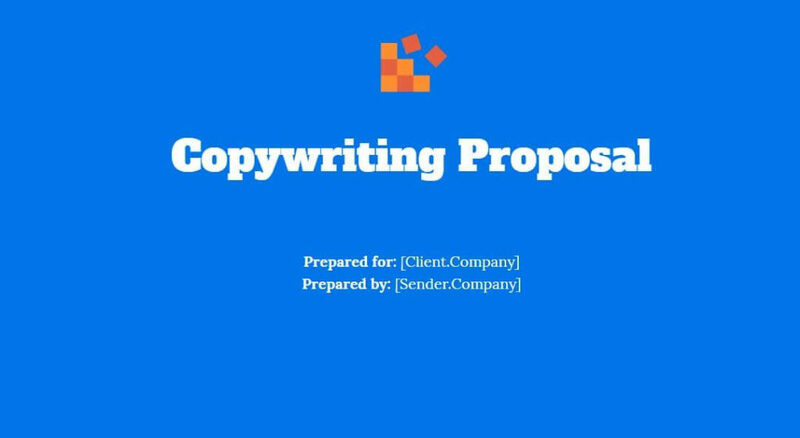 Suitable for marketing agencies and freelancers, this 16 page proposal Is chocked full of information that could save you a ton of time writing. The statement of work and contract at the end is also extensive. Qwilr has some really good modern designs. The isn’t a huge range of business proposals to choose from (Less than 20 by my count), but the ones they do have are very good. It’s quick and easy to knock one up and the proposals look clean and feel pretty slick. If you use Qwlir, you can also set up notifications that tell you when your proposal has been viewed. 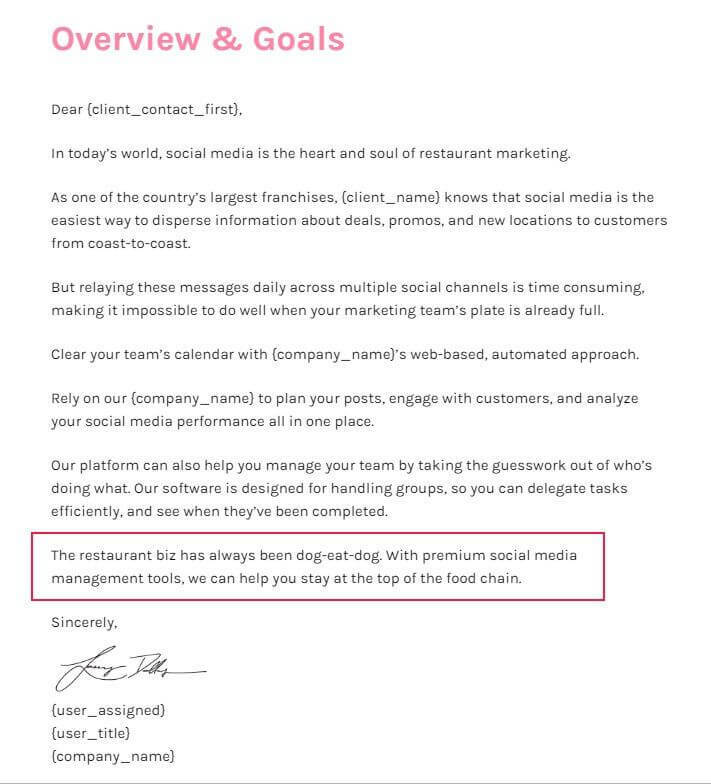 My only gripe with them is that you can’t easily separate the business proposals from the other documents they offer, which means it takes longer to find what you’re looking for. I guess they just don’t have enough business proposals to warrant making an extra section for them on the website. The best way to find them is to look through everything on the popular page. There is an option to select “business” but I found that when I did this, some of the proposals didn’t show up. Despite the dodgy organisation, it’s well worth checking them out. Video is so hot right now, which is why it’s great that you can you can easily incorporate video into this sales template. You can embed spreadsheets and slideshare presentations too. On the whole, it’s very professional looking and feels really current. I imagine that this would be a difficult one to to say “no” to. 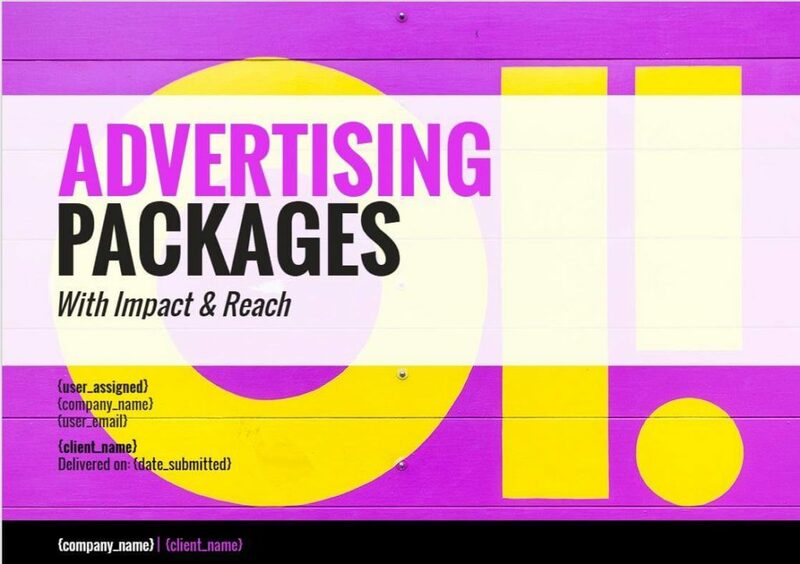 Those in the marketing biz will love this well-designed offering. This marketing agency proposal ticks all the boxes. The design on this one somehow makes everything seem simpler and less overwhelming. The images are great and text is good enough to base your ideas around (with just a few tweaks to customise). How nice does that lawn look? 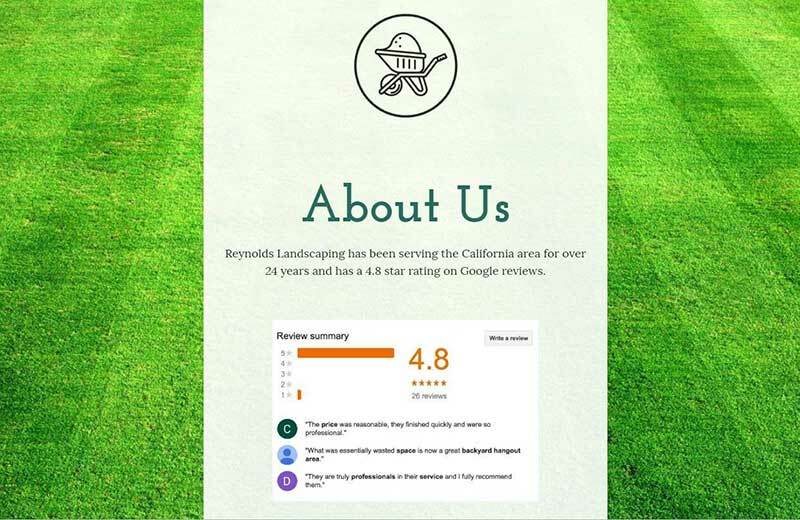 The review summary in this vibrant landscaping proposal template is a nice touch and a good example of how you can include social proof. As you would expect, there’s plenty of space in here to show off your proposed designs as well as previous work. As this is a visual industry, this template contains more images than most. But there’s also room to go through the various services you offer and explain your pricing. 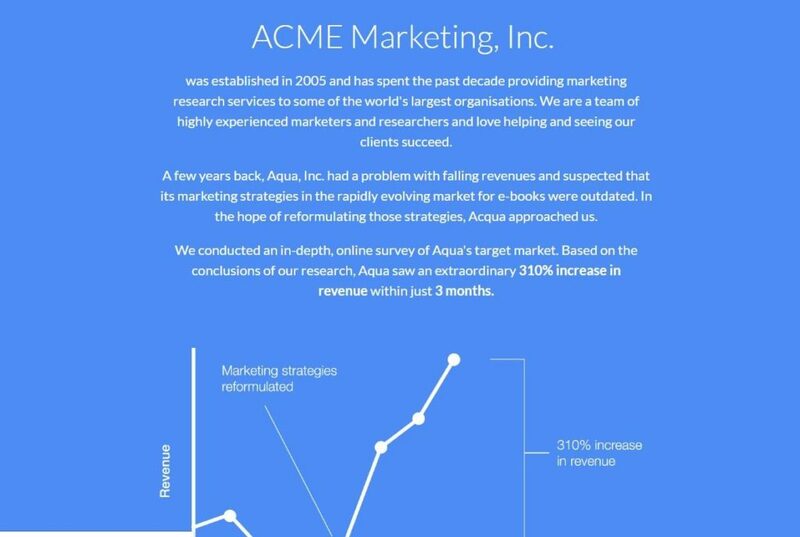 If your pitching your advertising skills, you might want to use this bold and simple template that focuses on results. It’s clean, professional and the imagery is minimal, meaning there’s no distractions from the bottom line. 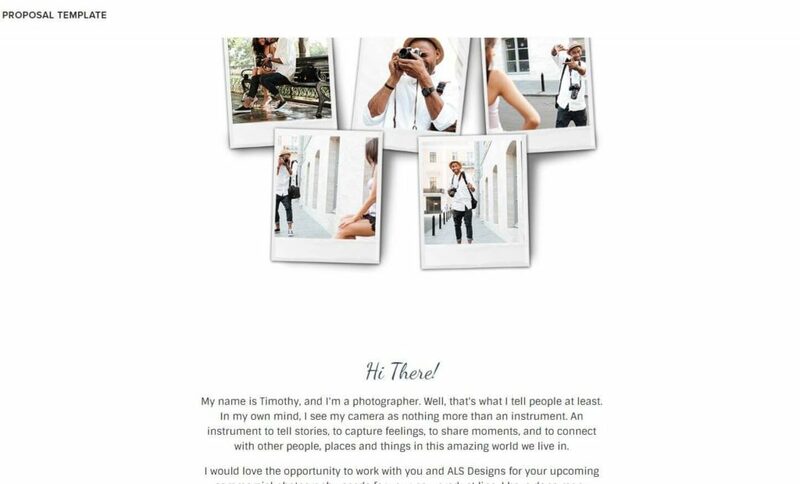 This is a great format for freelance photographers. The tone is relaxed and the overall proposal comes across as friendly and inviting, which is exactly what you want if you’re looking to get booked for weddings and events. PandaDoc has over 450 templates available. But, it’s not as easy to browse through them as it is with Proposify and the Designs aren’t quite as good as either Proposfy or Qwilr, which is why it gets the number 3 spot. 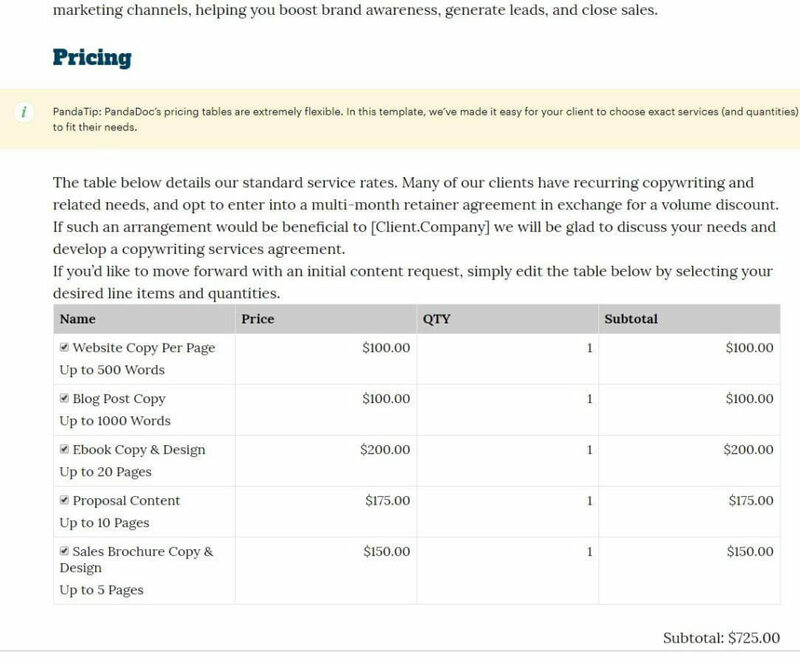 This is a pricing page taken from pandaDoc’s copywriting template. It has a contents page, room for an introduction and includes an executive summary, testimonials and terms and conditions. Their proposals are comprehensive and very professional looking. 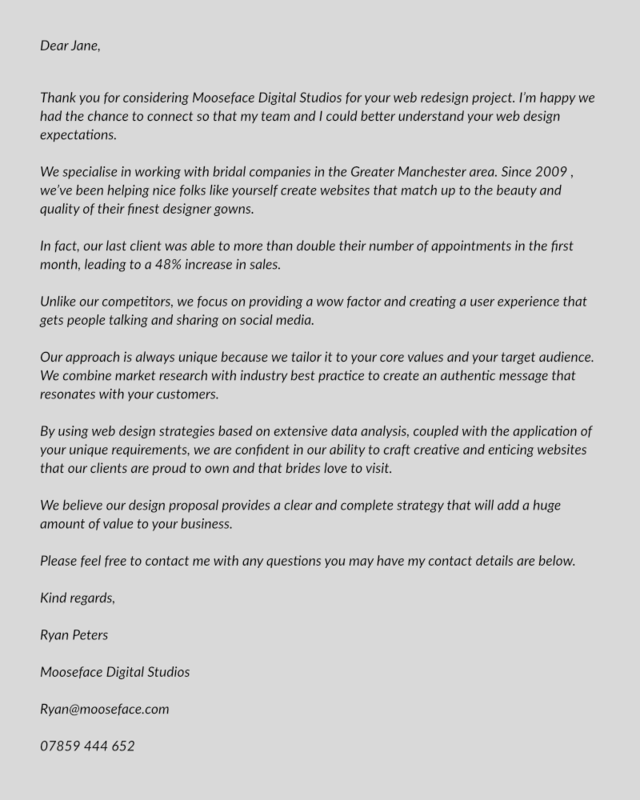 PandaDoc’s web design proposal template. The catering proposal will get the job done. It has a nice design and contains lots of useful hints and tips. There’s a handy table for keeping track of all the equipment needed, a place to break down the menu and to detail staffing and decoration requirements. 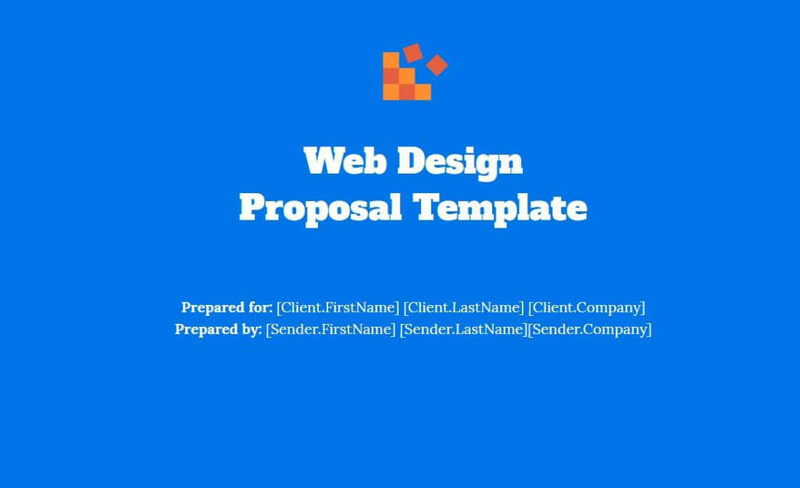 PandaDoc’s IT Services proposal template. 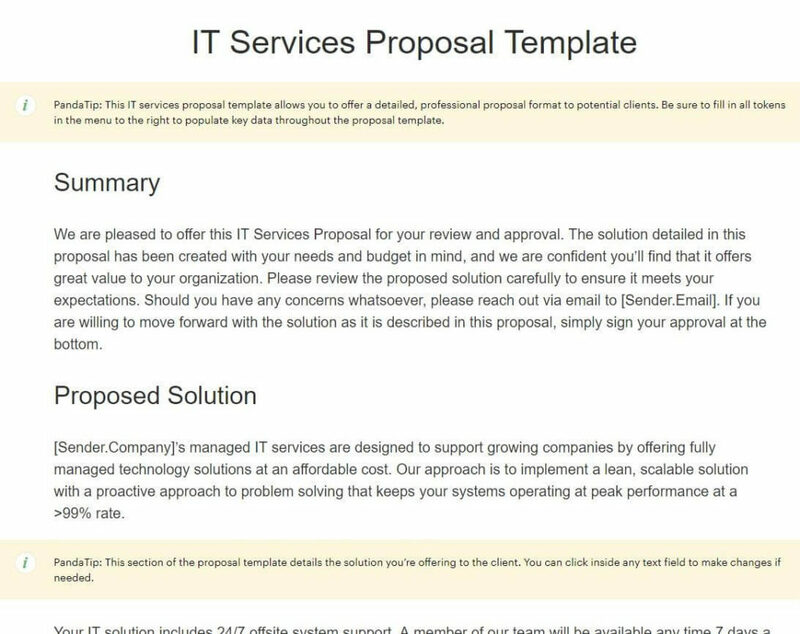 This IT services proposal template is great for those who want to keep it short and sweet. There’s options to add images,video and pricing tables (although this may incur charges). 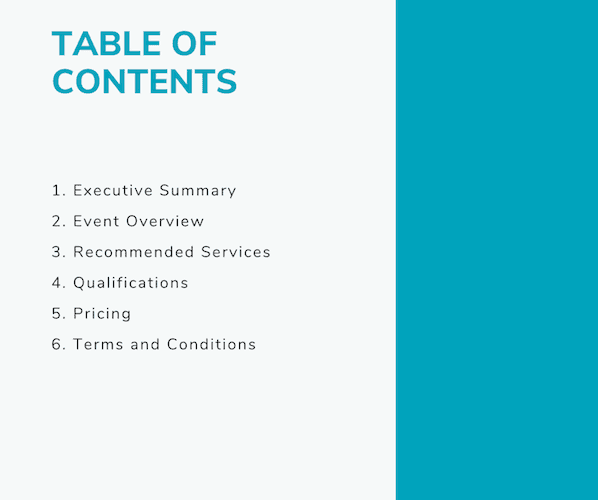 If you’re looking to pitch a sponsorship deal for an event, look no further than this template. As with all of PandaDoc’s templates, It’s fully customisable, allowing you to add video and organise information in a way that works for you and appeals visually. PandaDoc’s Mobile app development proposal. If you’re a budding app creator, this one could be ideal for you. 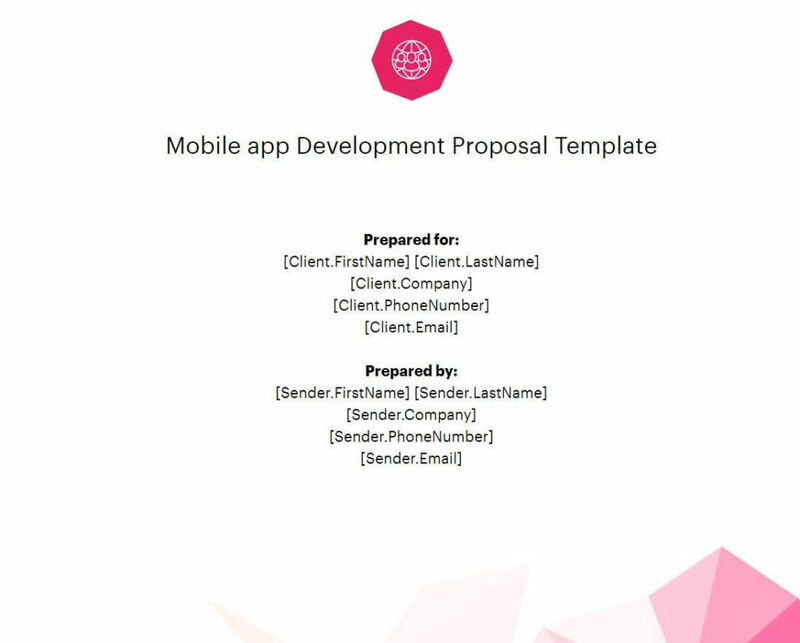 This proposal has a nice simple design and contains plenty of useful information that provides a great framework for putting together a well thought out proposal aimed at the mobile app industry. There you have it. If you have listened well, you should now know absolutely everything you need to know (and a little bit more) to write and follow up on your killer business proposal! So, what are you waiting for? Seriously why are you still here? Scroll back up to the top and let’s get cracking! Best of luck, I hope you nail it!